Learn how to spot and avoid the latest ATM scamming techniques. The vast majority of ATM & Gas Pump transactions are conducted safely and securely, but ATM & Gas Pump fraud can and does happen. A common technique used by thieves to obtain your debit card information and PIN at ATMs & Gas Pumps is skimming. ATM & Gas Pump skimming occurs when thieves use hidden electronics or technology on ATM & Gas Pump machines to steal card info. With your card’s information in hand, scammers can empty your checking or savings account. Skimming Overlay Devices. These devices are placed over the card slot. When a card is inserted into the card slot, the device records the card’s magnetic strip data. Shimming technology. Thieves have more recently developed “shimming” technology, where they install a thin, card-size device with a microchip into the card slot. This device isn’t visible from the outside of the ATM/Gas Pump and steals information that allows the thief to clone your card. Keypad Overlays. These devices are placed over a keypad and can capture PINs as they’re entered. Tiny Cameras. Cameras are used in conjunction with the skimming or shimming device. The camera is placed in a location on the ATM or Gasp Pump to record the user entering the PIN. Some thieves even use cameras with thermal imaging to see the numbers and order in which you pressed them. These days, many skimming devices transmit information back to fraudsters using Bluetooth technology. However, it’s possible that some crooks could still be watching you enter your PIN with binoculars or by looking over your shoulder, so don’t let your guard down. Be especially wary of anyone offering to “help” you use the ATM. There are some precautions you can take to stay safe. Use Your Eyes & Fingers. If something does't feel right, move on. Watch for signs that the ATM may have been altered. Does the ATM have parts that look crooked, misplaced or damaged? If you pull on the card reader, does it come loose? If you push buttons on the keypad, do they feel loose or spongy? These are all warning signs of potential tampering. Visit high-traffic and high-profile ATMs & Fuel Pumps. Avoid gas pumps that are out of sight of the clerk and ATMs in areas with little traffic. Scammers want to stay out of view when installing and collecting their technology. Cover your hand when entering your PIN. This should be done even if you don’t see anyone or anything suspicious. A hidden camera may be viewing the keypad even if you aren’t aware of it. You can also be sure to rest your fingers on the plastic keypad. This will obscure your PIN from thermal cameras. Pay inside, with cash or a card, rather than at the pump. There is less chance a fraudster placed a card skimmer on the payment terminal in front of the clerk inside the gas station or convenience store. However, it takes just seconds to place a skimmer on a card reader. Be observant of your surroundings. Stand directly in front of the ATM while using it and watch for anyone standing too close. Be wary of suspicious Bluetooth signals. You can download free scanning apps that detect suspicious Bluetooth signals and alert you to potential skimmers. Check your accounts regularly. There’s a chance you may not notice a compromised ATM/Gas Pump until your information has already been stolen. Regularly check your account statements and set up fraud alerts to be alerted of any fraud right away. If you answer the phone and the caller, or a recording asks you to hit a button to stop getting the calls, you should just hang up. Scammers often use this trick to identify potential targets. If you get an inquiry from someone who says they represent a company or a government agency, hang up and call the phone number on your account statement, in the phone book, or on the company's or government agency's website to verify the authenticity of the request. 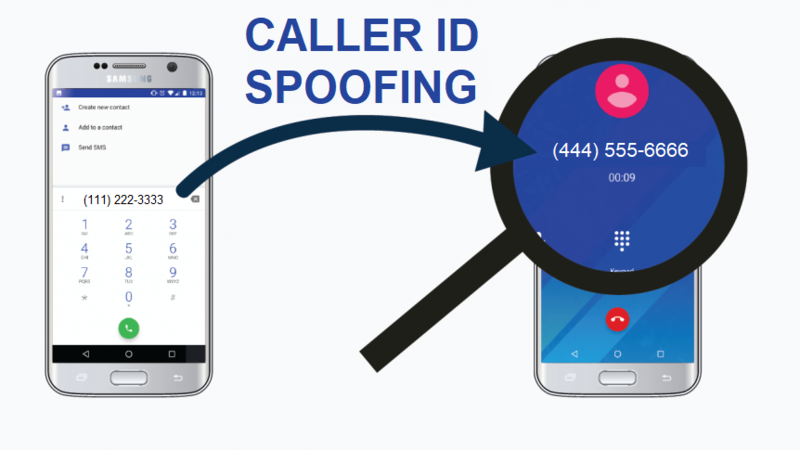 For more information regarding Caller ID Spoofing, click here.